SOLD! 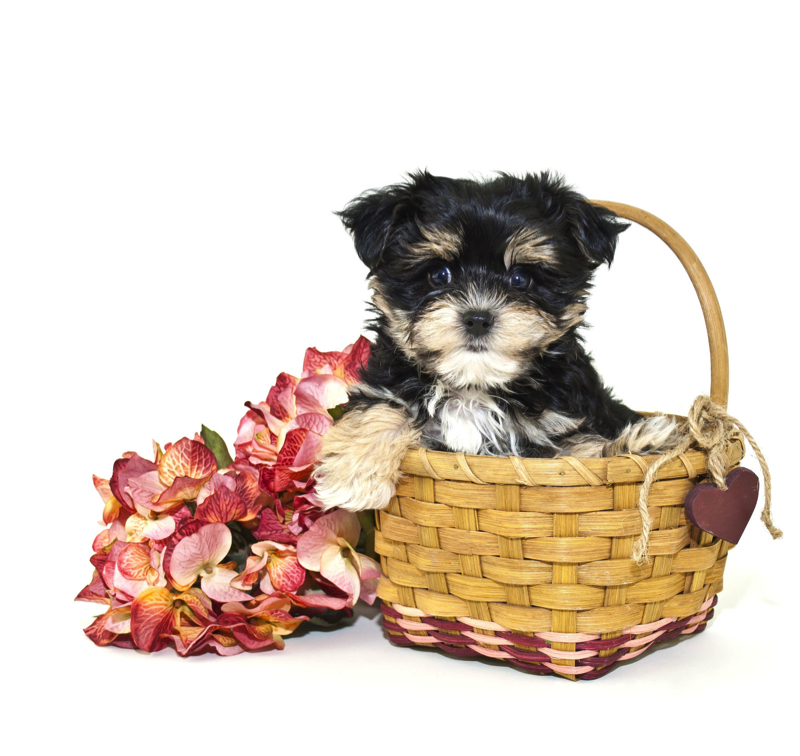 Lolipop Sweetest Female CKC Shorkie Pup To Brighten Your Day! What a fabulous girl Lolipop is! She is bright, happy, playful, and full of life! She has a gorgeous expression and a super sweet personality! After moments spent with her, you’d be as in love with her as we are! She has so much love for her new family. Call about this sweet little girl today before it’s too late. Waiting my new name and my new home is Jacksonville, FL. Lolipop is one of two females in this litter of six. Our litter names starts with L’s because of Mama name. Be careful Lolipop will steal your heart as she is soft and sweet! She is the smallest of litter and estimated only to be 5 lbs. 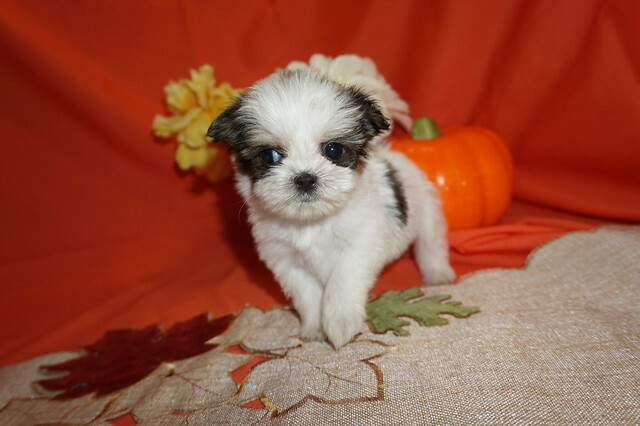 She has to be the most adorable Shorkie baby girl! Just look at her gorgeous white body with one tiny dark spot on her left side one spot of color on the base of her white full tail and her face has black and brindle color around her eyes and ears giving her an adorable baby face making her perfect in every way! She is a keeper so don’t wait to long or you might just miss out. « SOLD! 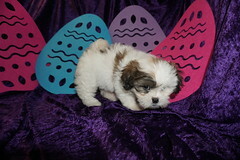 Lancelot Male CKC Shorkie Pup Will Steal Your Heart!